Made for Gardens create garden structures, garden furniture, children’s dens, garden gates, pergolas, raised beds, compost heaps, garden benches and anything you or we can imagine from sustainably sourced materials. We work with garden designers and members of the public to create bespoke green garden furniture and garden structures such as den’s, pergolas, wood stores and benches built to their specifications or we can suggest and design pieces. We recently created a Show Garden in collaboration with Shani Lawrence Garden Designs for the RHS Flower Show Cardiff 2015 held in Bute Park. Our sustainably built garden Made for Gardens: Nurture in Nature and sponsored by The Centre for Alternative Technology and built in conjuction with Made by Tim won a silver gilt medal. 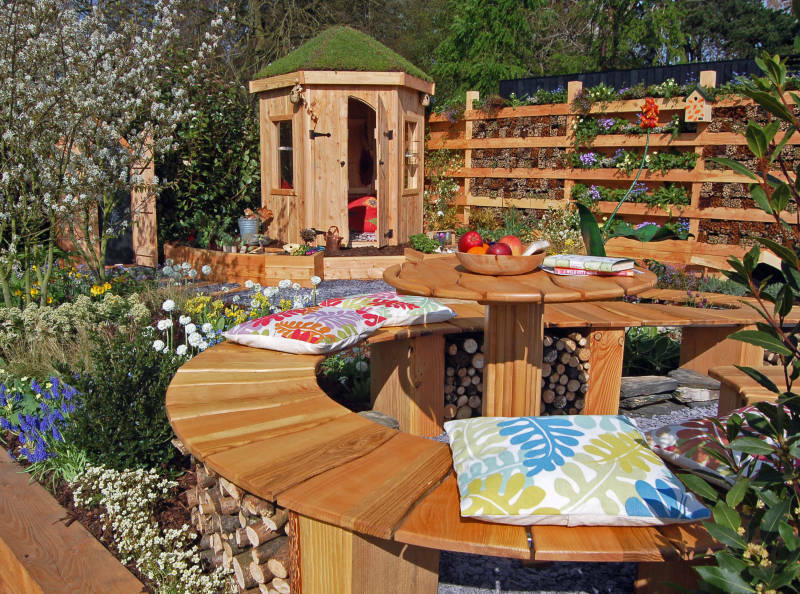 We created all the bespoke eco garden furniture and garden structures for the garden. We also have two holiday cottages for rental that we have renovated using environmentally friendly materials and techniques, we would love for you to come and visit please see Stones Cottages for more details.